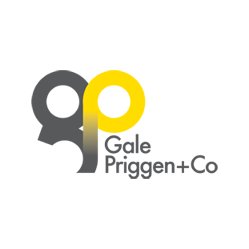 With over 25 years’ worth of experience in the London Property market Gale Priggen & Co are well equipped to assist you in searching for new office premises and negotiating the best terms possible on your behalf. We can save you time – and therefore money – by dealing with every aspect of your search, and reporting back with relevant options for you to consider. We aim to get both new and off-market opportunities to our clients as quickly as possible. In order for us to provide you with the best advice, it is necessary for us to have a clear understanding of what your goals are in moving. We recommend an initial face to face meeting at your current offices to enable us to get a clear idea of how you operate and your thoughts on what could be improved, along with ideas on size, locations and cost. At this point it is also important for us to form a clear picture of your current lease commitments so we have an idea on timescales and repair obligations which may needed to be factored-in to a move. We can then commence with the ……. With over 400 central London agencies, and no publicly accessible, comprehensive Rightmove-type search engines available for commercial property, it could turn out to be a full-time job for you looking for the right office premises. We take the leg work out of the process for you. We have a knowledge centre which provide us with up to date leasing information on office buildings across Central London. In addition, over the years we have built up close relationships with Landlords and their agents which can enable us to identify “off market” opportunities ……. Once we have completed the initial search and helped you shortlist a number of properties, we will then arrange a tour to suit your work schedule. We would accompany you on all viewings, so we can provide you with our appraisal of each property. Searching for the right space for you can be a developing process, so we expect to work with our clients to refine the brief as things move on. The search and viewings process will be repeated until we find you the right office …..
Get the best deal possible: we have a sound and experienced approach to negotiating on property, and our aim is to get you the best rent and incentives package as possible. Secure the terms that are right for your business: ensure that before lawyers are instructed, the other terms of the deal are right for you, factoring in future growth/expansion, ability to move on, keeping your on-going liabilities to a minimum and where possible minimising your exit costs on expiry. Our involvement doesn’t stop once lawyers are instructed; we are on hand to assist and offer advice throughout, pushing matters along where necessary. This part of process usually takes 4-6 weeks, during which we will monitor everything – working with your lawyers – to ensure the process is runs smoothly. During this period it is also important to consider moving forward plans for the office fit-out & furniture, phone and data connectivity, as well as the move itself. We can recommend to you consultants and contractors that we have had first-hand experience with that we know can deliver projects, large or small, to suit both your needs and your budget. Our involvement will also continue after completion. We will provide assistance up until you are fully functional in your new office. Our aim is to ensure that we are the first name you think of when it comes to your office premises.